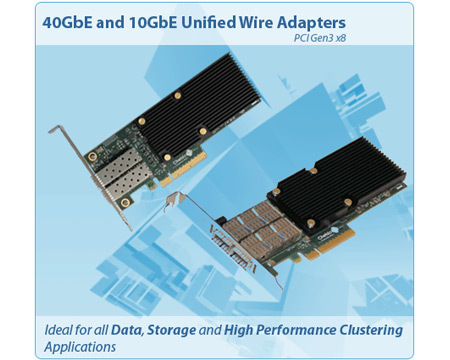 Chelsio’s Unified Wire Adapters accelerate network performance in enterprise data centers, cloud services and high performance clusters(HPC). 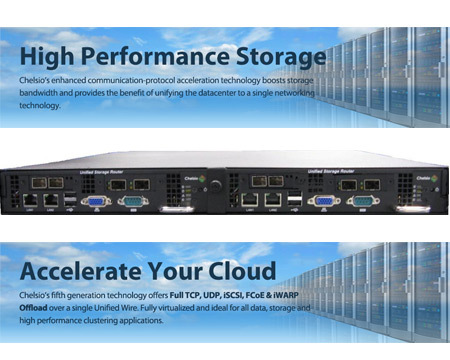 T5 Unified Wire Adapters – Chelsio’s Terminator 5 (T5) 40GbE, 10GbE Unified Wire Adapters for Offloaded TCP, RDMA(iWARP), iSCSI, FCoE, packet filtering, virtualization and more. T420-BT – 2 x 10Gb Ethernet, low profile, 32K offloaded connections, RJ45 connector. 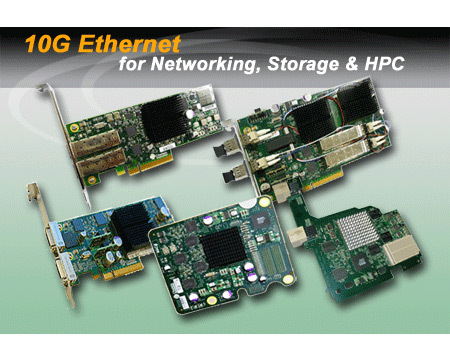 Legacy Adapters – Chelsio’s 10G/1G High Speed Legacy Adapters for TCP, RDMA(iWARP), iSCSI, FCoE offload. Datastor provides 1st level support. Thereafter support is handled by Chelsio Support. Also see FAQ’s and Device Drivers.